The card was created digitally in Serif CraftArtist. 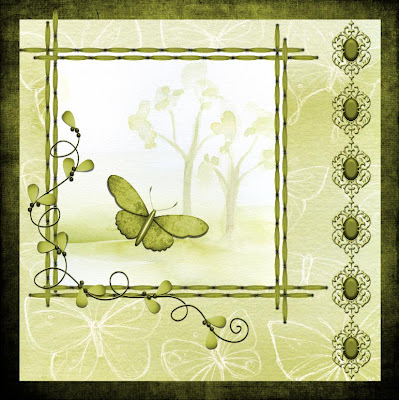 The butterfly and tree papers were from Daisytrail's Butterfly Garden CD and the butterfly and embellishments from Pam LeFors. 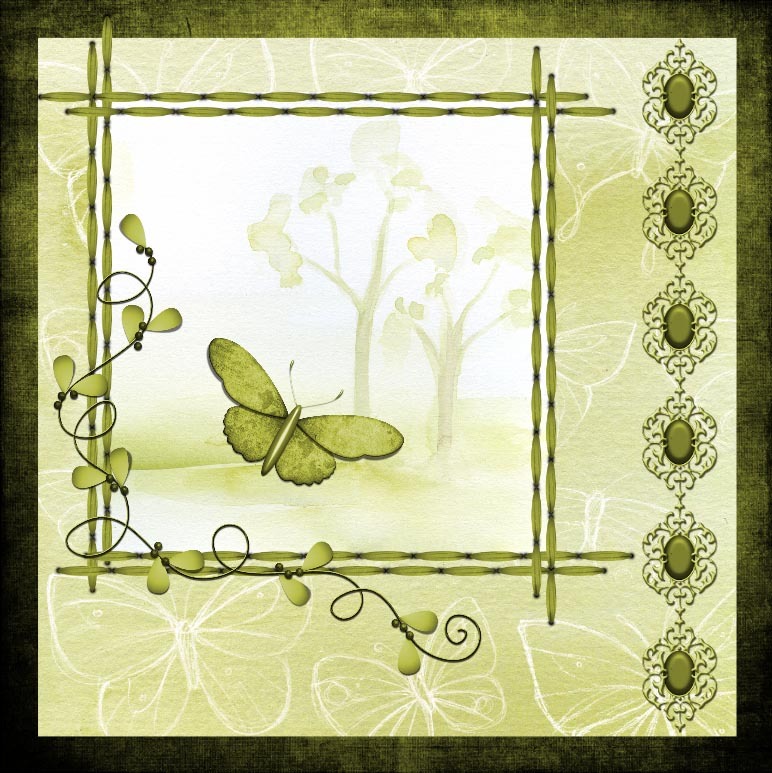 A beautiful card creation, i love your lo and the serif craft artist is ideal for card making. This is very pretty. I love the soft greens. Hi Caroline, this is very pretty and I do like your flourish. It's lovely Caroline. Especially like the swirly embellishment thingy. Thank you for joining us at The CD Sunday challenge this week. I love the muted tones you have used Caroline. A lovely creation. Thank you for joining in with us again. Beautiful Caroline, you are spoiling me showing butterflies. Lovely tones of green. Thanks for joining us at CD Sunday again this week.